It's the start of a new year and to say thank you for your continued loyalty we're offering one lucky listener the chance to win a brand new Amazon Echo (worth £89.99), to help you listen to Steve's early morning weekday show. A stylish addition to your home, the popular, hands-free smart speaker allows you to use your voice to instantly play music, audiobooks, radio stations and news briefings, while you can also set daily alarms, make calls, and send and receive messages. 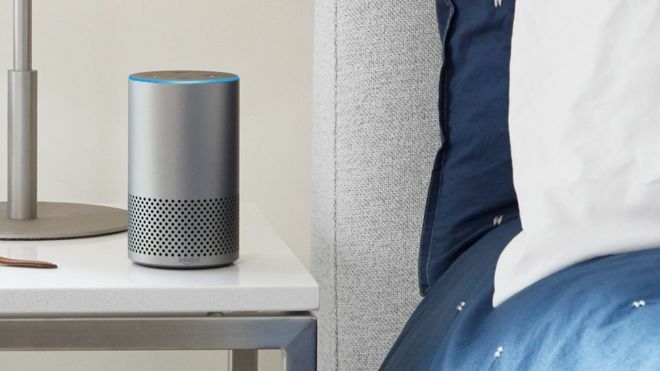 The Echo can be programmed to control smart home devices including compatible lights, switches, TVs, thermostats and more, while you can also add additional skills via Alexa, to use more personalised commands across an ever-evolving network of apps and websites. To listen to LBC on an Amazon Echo, just say "Alexa, play LBC", or to get the latest from Global's Newsroom, say 'Alexa, turn on LBC News Update'.